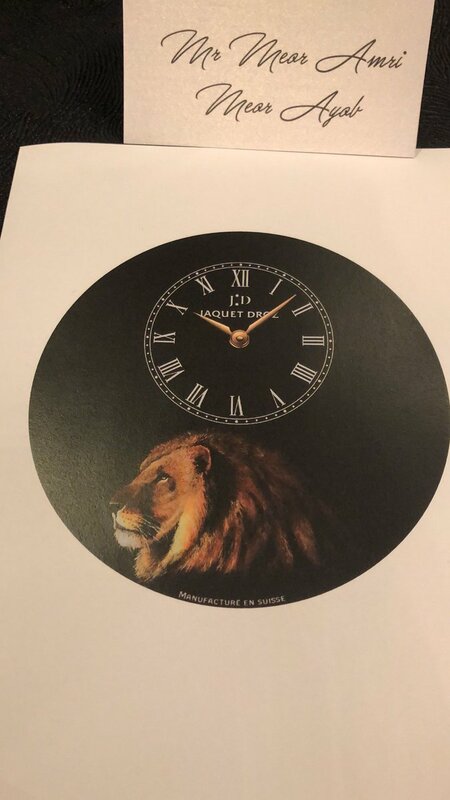 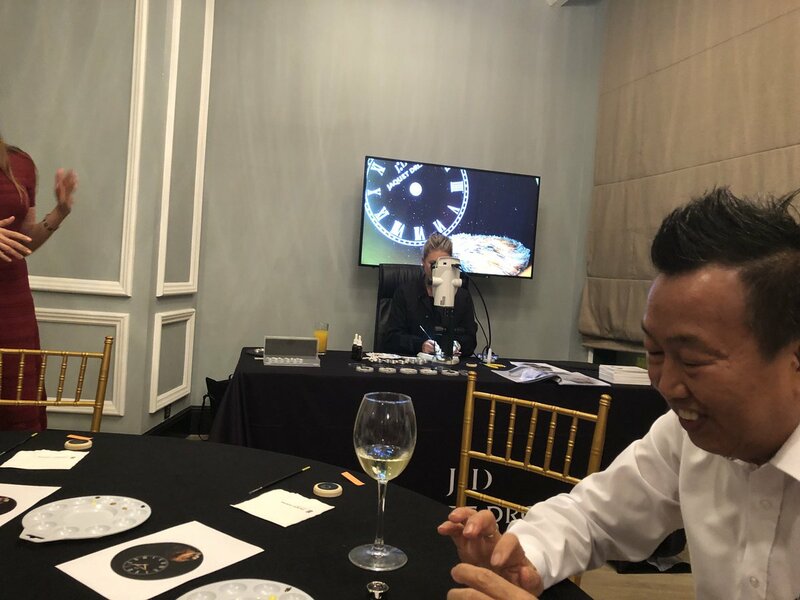 Attended the Jaquet Droz enamel painting workshop in Kuala Lumpur organised by Swiss Watch Gallery - lovely evening and learned how difficult it is to paint on a small enamel disc! 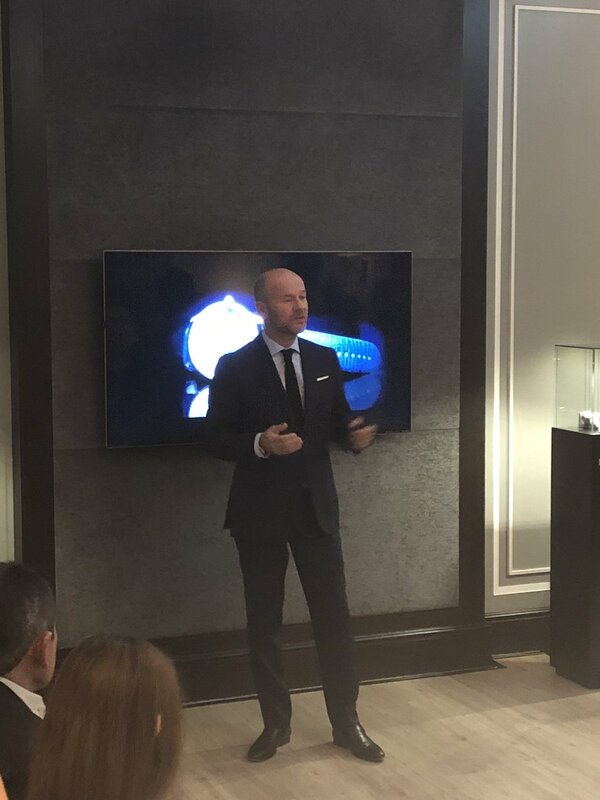 The CEO, Christian Lattmann was also in attendence. 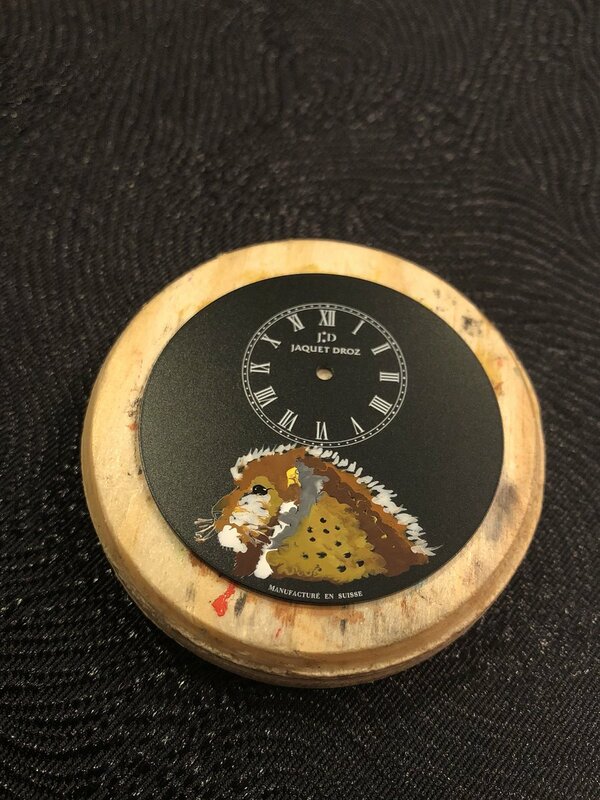 The aim of the evening is to paint a line on a small enamel disc (as shown).